I have been dramatically unwell this past week, spending most of my time sleeping, or trying to sleep. At one point I reclined, eyes stinging and watering, with flowers upon my chest in a mock interment upon the couch. Don't worry. I have survived and well on the mend. 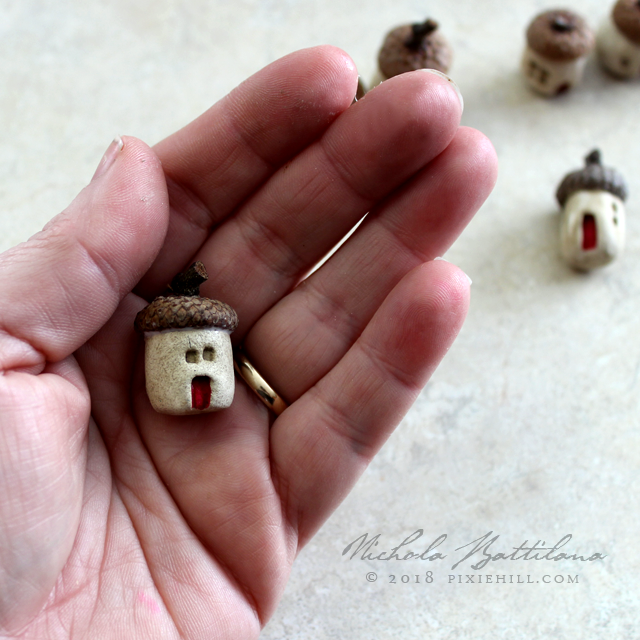 In fact, yesterday I was feeling so positively spiffy that I managed to make a bunch of little acorn capped houses. 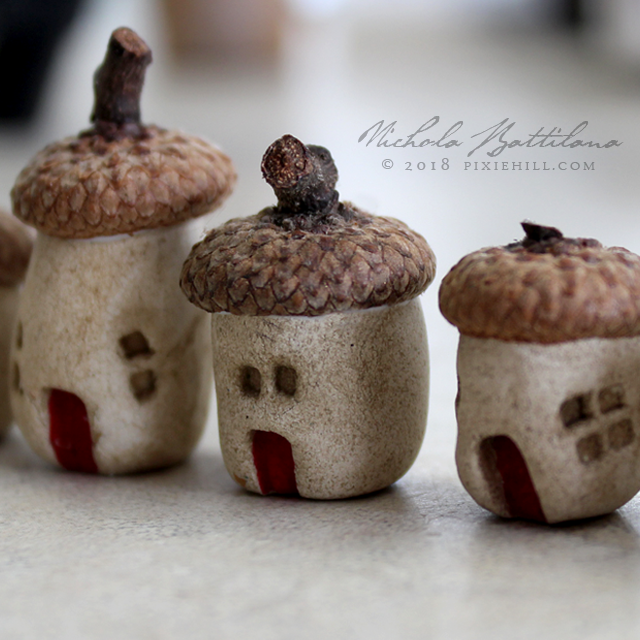 IN FACT, yesterday I was feeling so well that I made a 'how-to' video so that you too can make acorn capped houses! Hop over HERE for the viddy and my sickly voice. What will you need to make these doo dads? 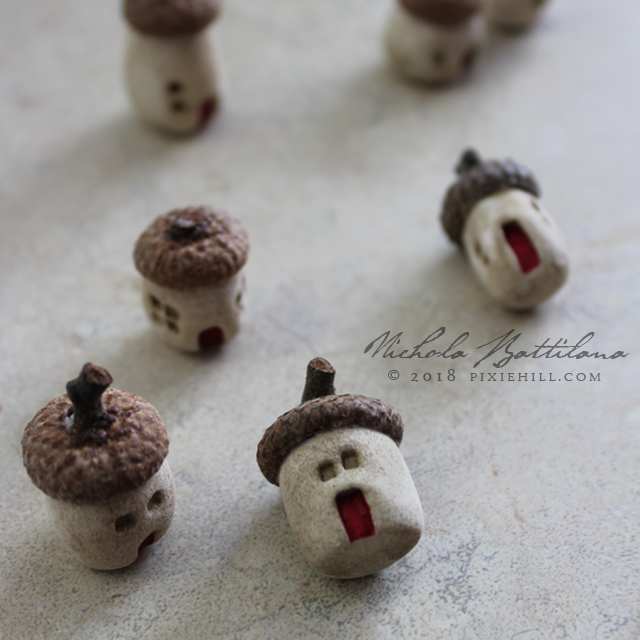 oh my, those little houses are super cute! Hope you are feeling better. Sweet little tutorial, thank you! Hope you are feeling completely recovered soon. Glad you are on the mend! Love those little wee houses! I heart these so.... Thanks for the video! Glad you're better. These are the cutest things I've ever seen! I love 'em and thanks for showing us how to make them. 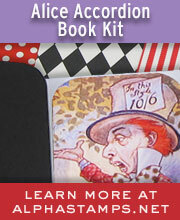 It's on my list. One of my favs of yours!